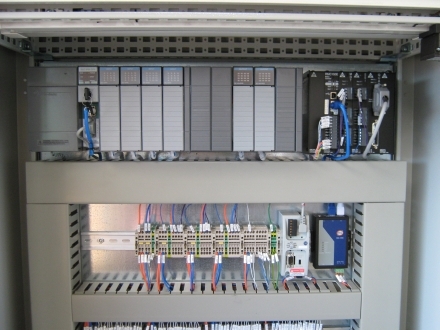 Automation Works NZ can design and build setworks systems based on standard Programmable Logic Controllers (PLC's), used in conjunction with Delta high end motion controllers for very high accuracy hydraulic servo applications. Delta motion controllers give the power to do geared/splined movements and skew cutting with up to 8 axes of control. Automation Works NZ recommends the use of the Allen Bradley range of PLC's, although the Delta motion controllers have the ability to work with nearly any brand. 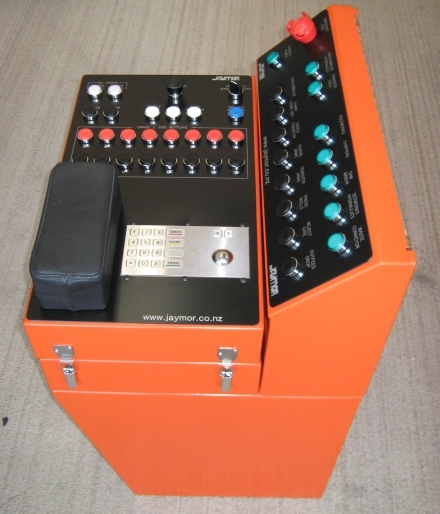 Operator consoles are custom designed to meet the application and the customers requirements.